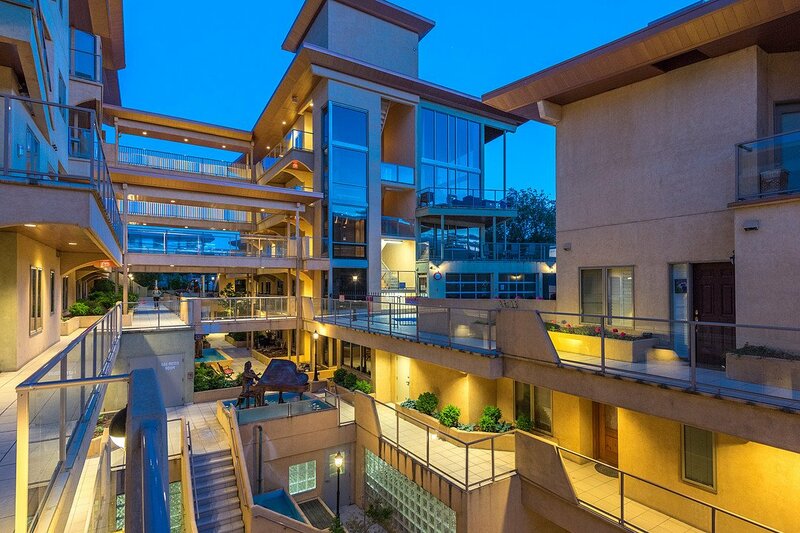 A rare condo living opportunity in Penticton, a penthouse unit has come on the market with incredible lake views. Not often to you see units like this for sale in the Okanagan, especially this side of the lake. Situated right in town with incredible views of Lake Okanagan, this Mediterranean style building has it all. This roomy loft style penthouse has 20 foot floor to ceiling windows, two bedrooms and bath over a luxurious 1,762 square feet of living space. The architect had some fun with this building as you’ll see the unique layout and the beautiful bronze art that adorns the property. The rooftop pool is yours to enjoy along with the building gym. This building is close to the beach, shopping as well cafes and restaurants are just a stroll away. This Penticton penthouse is now on the market for $995,000 CAD and is listed with Don Blocka of Sotheby’s who can be reached at 403.254.5315 or 403.650.4302 for his cellphone.